One of our listeners had some very interesting questions about the 144 000. Below are the answers I provided. Thank you Connie for reaching out with some great questions! I believe you answered your own question by saying that they must be refined until they come forth as gold and all dross is removed. Having said that, let me give you some biblical evidence for why they need to enter the tribulation already sealed. If you scan quickly through Revelation 7, you’ll see that God’s army (the 144 000 special forces) are in battle array with their foreheads sealed. Then we’re introduced to the Great Multitude, who obtained the victory over the beast as a result of the labor of the 144 000. We get a second witness in Revelation 14, where we again see the 144 000 standing on Mount Zion. They are the First Fruits and are not defiled with false doctrine. Immediately afterwards we read about the Three Angels’ Messages. The Three Angels’ Messages are the sound doctrine that the 144 000 speak through their mouths that have no guile. Immediately afterwards – still in Rev. 14 – we read about the PATIENCE of the saints. The same core idea of patience is presented in James 5, verses 7 through 11. The Lord waits patiently for His special forces to be ready, then sends Holy Spirit rain upon them. (By the way, it’s the Holy Spirit that seals). In James:10-11 we again are told to emulate the patience of the prophets, and the perseverance of Job. The end intended by the Lord is good: the sealed ones will mirror the perfection of Christ. There is another very important reason as to why God’s people must go through the tribulation even though they’re already sealed: Never forget that in this great controversy, God stands accused before the entire universe. He is both Judge, and Judged. Why? Because Satan has slandered Him and assassinated His character. Satan gave false witness about God to the angels in heaven, and caused them to fall. He did the same on earth and caused man to fall. 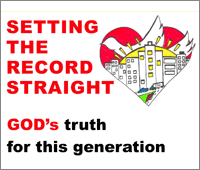 Therefore, the vindication of the character of God is one of the most important aspects of ending the great controversy and re-establishing God’s kingdom on earth. 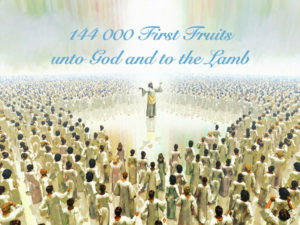 This is the role of the 144 000 who will be standing when Jesus comes. They must endure all in order to demonstrate to the watching universe that they love God for who He is and not only for His blessings. As stated in Romans 3:4: “That You may be justified in Your words, and may overcome when You are judged“. Like Job, we need to demonstrate that we’ll confess His name despite enduring great affliction during the time of trouble. If there were NO remnant to stand true to God, Satan could lay claim to the kingship of the earth on the pretext that every knee has bowed to him. Satan could say that all of earth’s subjects are his and that the Plan of Redemption is forfeited because God has no subjects on earth. Don’t fret too much if you’re not there not. I certainly am not. I still make way too many mistakes. But Jesus isn’t looking to the 144 000, disappointed at their failings. No! He looks to the Father, knowing that the Father will keep His word and sanctify us. Let us also look to Him, the author and finisher of our faith. Thank you Connie for another interesting question. Indeed I don’t think there’s a clear answer to this question. I believe the Bible is deliberately vague on this point. In fact, in Revelation 7 there’s a bit of a blurring of the differences between the two groups, the 144 000 and the Great Multitude. We could also call it a blending of the two. Both classes come out of the great tribulation, will serve the Lord in His temple, were subjected to hunger and thirst during the time of trouble and will be comforted by the Lamb when it’s all over (Revelation 7:14-17). I’ll give you my personal opinion because I don’t have any definitive Bible or Ellen White text on this. I lean toward believing that an undetermined number of the Great Multitude who are still alive at the close of probation (when Michael stands up – Daniel 12:1) will, like the 144 000, be translated without tasting death. Another probably larger number of them will be martyred. On what grounds would that distinction and sifting be made? Again, pure speculation on my part, but I suspect character may be the defining factor. Only those with the patience of the saints and the faith of Jesus would be able to endure until the end. Why will no one be allowed to be martyred after the close of probation for the world? Because once probation closes, the death of any of God’s people would serve no purpose. While probation is still open, the death of any one martyr is seed that can bring forth much fruit for Christ. Once everyone has taken a position, there are no more souls to be gained for God’s Kingdom. Therefore the death of any saint is only a victory for Satan and a loss for Christ. For this reason, none of the saints will be allowed to die after the close of probation. Thank you Connie for those great questions. Keep them coming! I’d love to hear from other listeners as well. 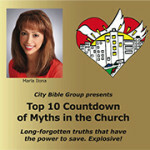 You can submit your question on the website or email me at info@citybiblegroup.com. Tagged 144 000, 144000, angels, Bible, christ, christian martyrs, close of probation, death decree, death decree against God's people, Ellen G. White, end time, endtime, faith of Jesus, fiery furnace, fifth seal of revelation, First Fruits, furnace of affliction, God, God's army, God's saints, Great Controversy, great multitude, great tribulation, holy angels, Jesus, martyrs, patience of the saints, probation, prophecy, Revelation, saints, the Lamb, Three Angels' Messages, time of Jacob's trouble, time of trouble, trial, trial by fire.